Sometimes a recipe comes along that’s so spectacular that you feel compelled to climb your way up to the top of the nearest alp and sing like Julie Andrews, giddy and overflowing with such love for the world that the power of your emotions threatens to send you skidding down the mountain on the backside of your lederhosen. I can’t say I was singing, exactly, but the dal did make me extremely happy. The secret is in the Bengali spice blend called “panch phoran” (also spelled panch phoron and panch puran). Panch Phoran is easy enough to make from spices readily available at most grocery stores. 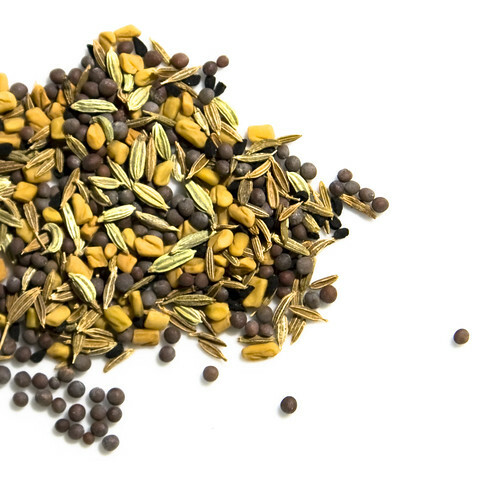 Simply mix equal parts of fenugreek, mustard seeds, onion seed, fennel seeds and cumin seeds. 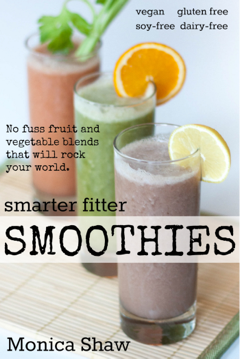 Make a big batch because I guarantee you’ll be using it again. Here is a simplified version of Susan’s recipe. I’ve subbed the cauliflower with spinach and use tinned tomatoes instead of fresh. Combine the red lentils, water and turmeric in a pot. Bring to a boil then reduce heat and simmer until the dal is tender, about 20-30 minutes. While the dal cooks, heat the olive oil in a large skillet. Add the panch phoran and curry leaves. As soon as the seeds start to pop, add the onion, garlic and ginger. Cook until the onion is soft (it should not brown). Add the tomatoes, cooked lentils, chili and salt. Cook for at least 10 minutes to allow the flavors to bend. Shortly before serving, add the chopped spinach and cook until the spinach is wilted. Could I have the full recipe? The “simplified” recipe sounds good, but I’d like the one that made her want to sing. Hey, Erwan liked your dal so much that he’s doing the recipe here at home. It’s looking good, however we ended up with quite a bit more water in the lentils. E decided to drain this – and pour back some of the juice to get the consistency balance right. Is that something that you need to do sometimes? I’m glad to hear you enjoyed the dal! I’ve never had to add more water but I guess it depends on the lentils? Did it turn out in the end? A couple other nice things to add to the dal: spinach, cauliflower, big slices of fresh tomato, carrots, really any green veggie!